05:31 AM - Elizabeth Freer mentioned Marty in post Is something "off" with these forum links?? 08:02 PM - Elizabeth Freer mentioned kholtme in post Spaghnum Moss as a substrate? ...ouri. Perhaps Tamara can chime in? 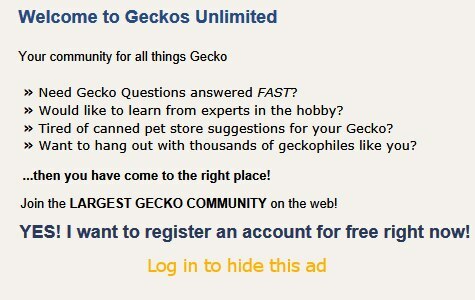 07:23 PM - kholtme mentioned Elizabeth Freer in post Is your gecko not eating? 09:26 AM - Tongue Flicker mentioned Elizabeth Freer in post Leos using rodent wheels?! 04:43 AM - Elizabeth Freer mentioned majahawt in post Leos using rodent wheels?! 01:27 PM - Elizabeth Freer mentioned samdavies in post Leopard gecko eye problems/not eating. 11:46 AM - Cyd mentioned Elizabeth Freer in post What Fruits do CGeckos like/can eat?